5 Necklaces, 7 Pair of Earrings, 2 Bracelets & 2 Finger Ring. 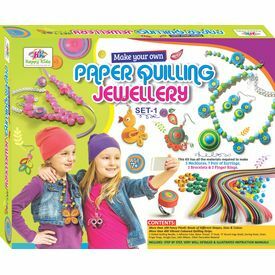 Paper Quilling is the art of rolling and shaping thin paper strips into coils and scrolls to create beautiful designs. 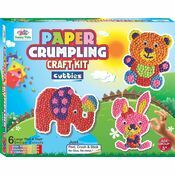 This paper art is simple and great fun to do. 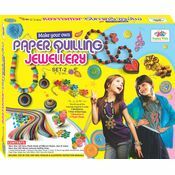 How about using paper quilling technique to create your own designer jewellery which makes your own style statement ! Jewellery enhances one’s beauty and making exquisite Jewellery on your own will give you a sense of accomplishment and boost your creativity. 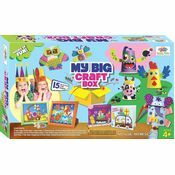 This kit includes all the materials required to make elegant necklaces, colourful earrings, funky bracelets , adorable lockets and finger rings. To enhance the look of the jewellery we are also providing you a variety of beads of different colors, shapes & sizes. So Design charming jewellery for yourself and your loved ones. 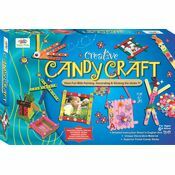 More Than 100 Fancy Plastic Beads of Different shapes , Size & Colour. More Than 400 Vibrant Coloured Quilling Strips. 1 Slotted Quilling Needle, 1 Adhesive Tube , Nylon Thread, ‘S’ Hook ‘O’ Round Rings (Kadi), Earring Hook, Chain, Finger Rings, Google Eyes, Satin Ribbon, Other Decorative Material. 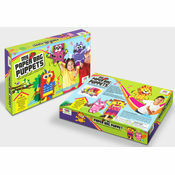 Includes- Step by Step Very Well Detailed & Illustrated Instruction Manuals.